Not to be confused with Wong Ka-wai. "I could have continued making films like As Tears Go By for the rest of eternity but I wanted to do something more personal after that. I wanted to break the structure of the average Hong Kong film." "Whereas Chungking was sunshiny and suffused with bright, lovely daytime colors, Fallen Angels is more about neon, and night time, and grunge." "Chungking Express and Fallen Angels together are the bright and dark of Hong Kong." "[Wong has] a heady mix of influences, ranging from modernist novels to narrative, visual and aural motifs drawn from local films and popular culture. High and low, new and old, and local and global are all thrown onto a blank canvas, one that assumes shape ... [only during the] editing process." "Wong stands as the leading heir to the great directors of post-WWII Europe: His work combines the playfulness and disenchantment of Godard, the visual fantasias of Fellini, the chic existentialism of Antonioni, and Bergman's brooding uncertainties." 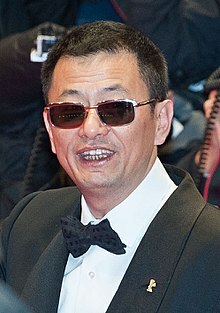 Wikimedia Commons has media related to Wong Kar-Wai.